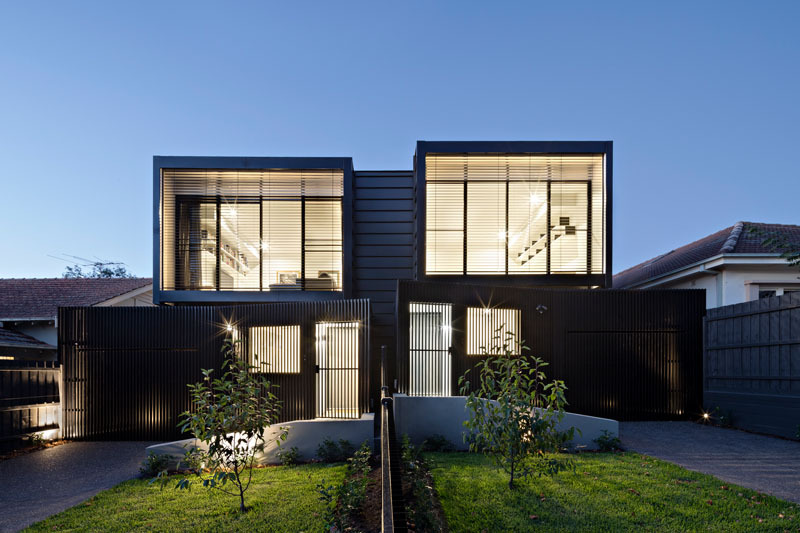 Chan Architecture have recently completed the Hawthorn East Townhouses in Melbourne, Australia. 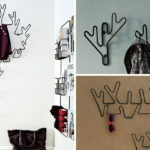 Modern in their design and nearly identical, the townhouses are set at different heights making each home distinctive. 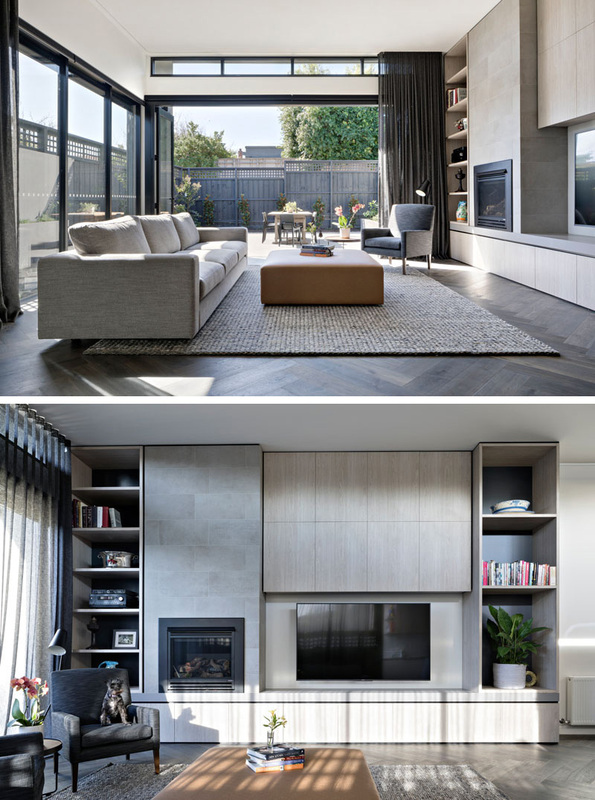 The exterior of the townhouses have lightweight, black aluminium batten screening over the large windows, and metal cladding is used to provide a sleek look. Entering into one of the townhouses, you walk down a hallway before arriving in the living room. Once in the living room, large folding glass doors can be opened to reveal an outdoor patio with dining area. 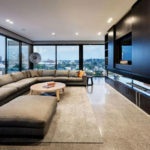 Back inside, the couch in the living room sits in front of a set of large windows making this light room even brighter. Light wood cabinets and open shelving have been designed to surround the fireplace and provide ample storage. In the hallway and close to the front door is a floating built-in cabinet. 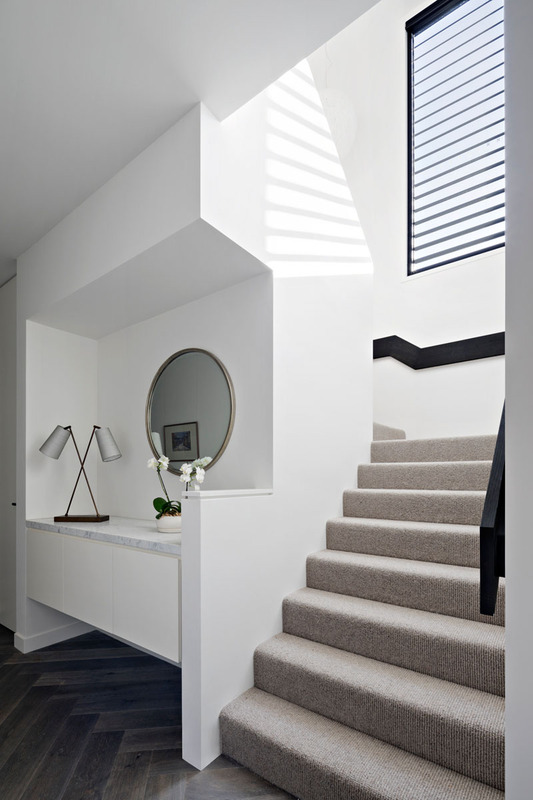 A light colored carpeted staircase with a black railing leads to the upper floor, with the handrail matching the black window frame. The bathrooms in the home are simple and minimalist in their design. 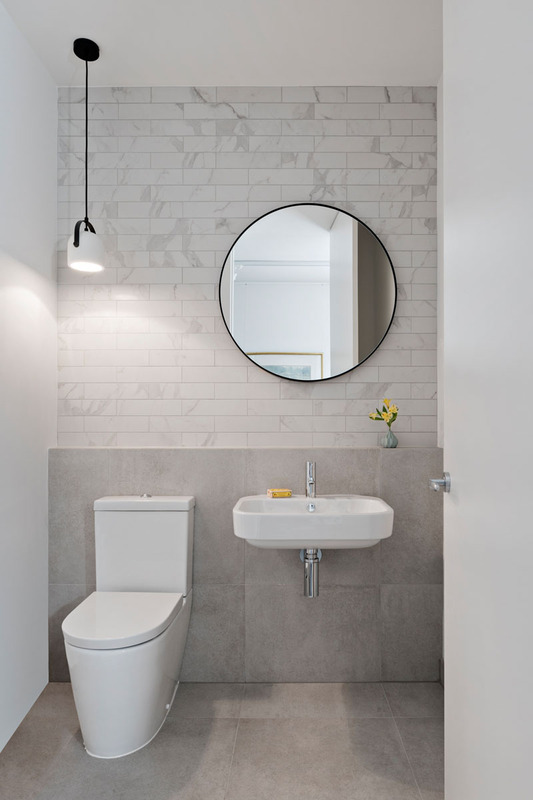 White and light grey tiles line the back wall in this bathroom, while a single white and black pendant light hangs above the toilet. 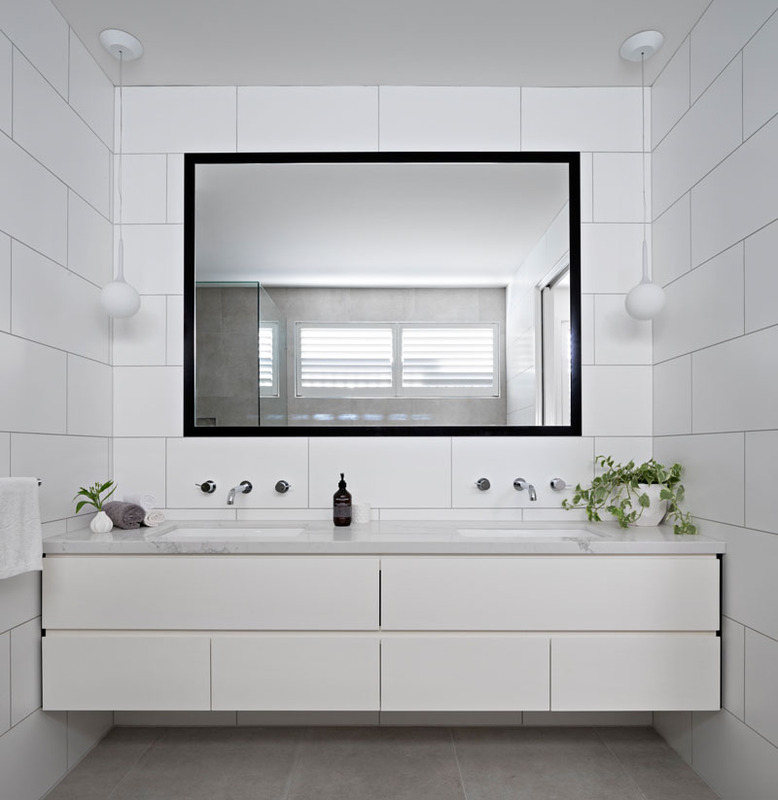 A large black framed mirror stand outs in this white bathroom that features large rectangular tiles on the walls . Two white pendant flank the mirror and hang above a marble counter with dual sinks.